A last-minute provision in the Fiscal Year 2019 John McCain National Defense Authorization Act (NDAA) has gone largely unnoticed in the mainstream media. The recently passed U.S. defense bill included conditions on the U.S. role in Saudi Arabia and UAE’s military intervention in Yemen. 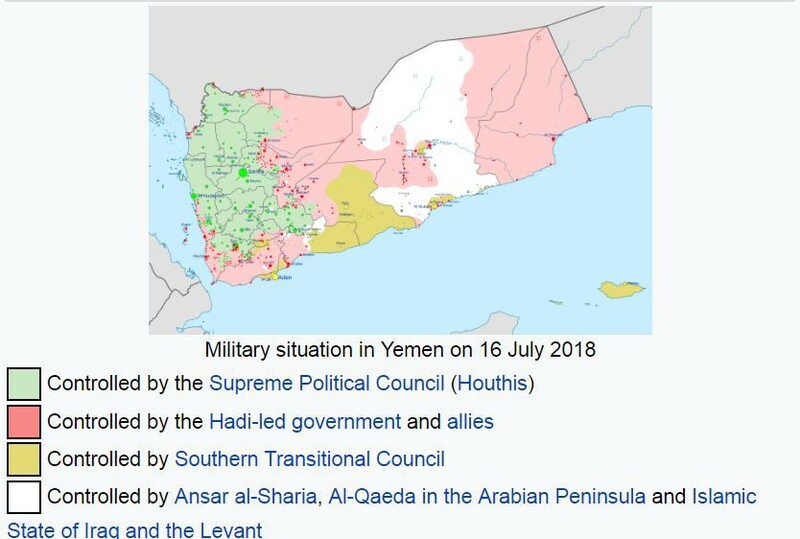 The current Yemeni civil war, beginning in 2015, is an ongoing conflict between Iran-backed Houthi forces controlling the capital Sana’a and forces loyal to the former government of Abdrabbuh Mansur Hadi, now based in Aden. Originally introduced in the Senate-passed NDAA, the Yemen provision conditions U.S. military support to the Saudi/UAE effort on the U.S. Secretary of State certifying to Congress that the Saudi coalition is: (1) implementing concrete efforts to end the Yemeni civil war, (2) minimizing the impact of Saudi/UAE military actions on Yemeni civilians by providing food, fuel, and medicine, (3) ensuring that other humanitarian efforts are not impeded, and (4) actively reducing the risk of harm to Yemeni civilians. Though there has been sparse news coverage of the NDAA’s Yemen provision, when it has occurred it has generally implied the provision puts Congress in a much stronger oversight role with respect to Yemen and will most likely limit such involvement. “Yemen remains an area of intense interest and concern for our members, and we have aggressive oversight in the conference report,” a senior staffer told reporters at a background briefing. If history is any guide, the probability Secretary of State Mike Pompeo decertifies U.S. military support to the Saudi coalition is zero. Try to name one instance in U.S. history where a Secretary of State (or any cabinet officer) ‘decertified’ a U.S. military engagement. The U.S. Congress doesn’t even exercise its own constitutional authority to do something like that anymore, much less a Secretary of State. Instead, the $717 billion defense bill guarantees the U.S. military will possess the manpower and resources necessary to significantly increase its role in Yemen if the Trump administration so desires. The Yemen provision was ostensibly prompted by the Saudi-UAE coalition’s July offensive on the Houthi-controlled strategic port city of Hodeida, in which a significant number of civilian causalities occurred. August 9th’s Saudi bombing of a civilian school bus passing through a crowded market in Dahyan, Yemen, in which around 50 civilians died, mostly children, occurred after the U.S. Senate added the Yemen provision to the 2019 NDAA but before President Donald Trump’s signature on August 13th. Even ardent supporters of U.S. military actions in support of the Saudi coalition in Yemen must now realize the conflict is a bloody mess unlikely to end quickly or peacefully. But the U.S. is not the only country assisting the Saudi/UAE forces. Thousands of troops, advisers and mercenaries from Sudan, Chad, Uganda, Colombia, Australia and France have been involved as well. And the net result has been anything but successful. The deterioration of water and sanitation infrastructure in Houthi-controlled areas, caused by the civil war, led to a cholera epidemic in 2016 and has been a constant threat since to the civilian population. The World Health Organization estimates that, since April 2017, there are over 1 million suspected cases of cholera (with 612,70 confirmed) and 2,255 Yemenis have died. Good intentions count for nothing in geopolitical chess and warfare. Results are what matter and the U.S.-backed Saudi/UAE military intervention in Yemen has amounted to a public relations victory for Iran and a living nightmare for civilians in Houthi-controlled areas. There are few clear lines delineating ‘good guys’ versus ‘bad guys’ in this three years and counting civil war. Since the 2004 Houthi uprising against the democratically elected and globally recognized government of Ali Abdullah Saleh, Saudi Arabia has accused Iran of supporting the Houthis, who are Shi’a. 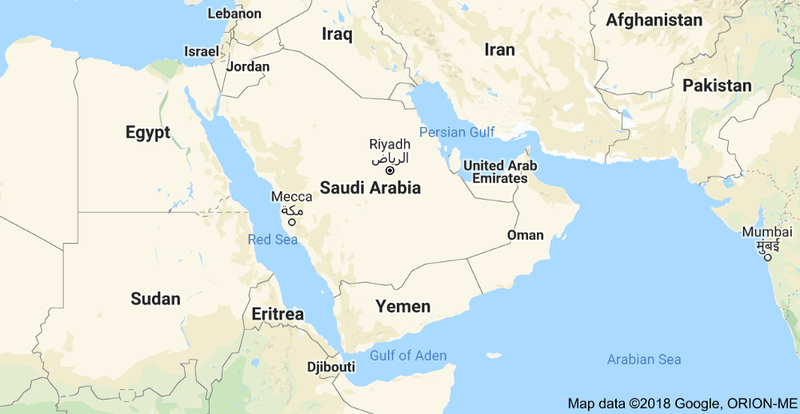 With the overthrow of the Saudi-allied Hadi government in 2015, Saudi Arabia intervened to prevent an Iran-backed regime gaining a foothold on the Arabian peninsula. But the U.S. role in the conflict was not automatically aligned with the Saudis. At the start of the 2015 civil war, some U.S. generals at U.S. SOCOM (Special Operations Command) reportedly favored the Houthis, as they had proven to be extremely effective at fighting al-Qaeda in the Arabian Peninsula (AQAP) and the Islamic State in Yemen. However, the Obama administration eventually chose to support the Saudi Arabia’s goals in Yemen and the U.S. military has since been providing air refueling, intelligence, and logistical support the Saudi/UAE effort. And, quite ironically, reports have surfaced in the past month that Saudi/UAE commanders have ‘cut a deal’ with AQAP and are now recruiting al-Qaeda fighters to fight the Houthis. This ‘enemy-of-my-enemy-is-my-friend’ approach to building coalition forces has only one guaranteed outcome: whatever the happens in the Yemen civil war, AQAP will emerge better trained, and better equipped than ever before. “Yemen remains the world’s largest humanitarian crisis. The country has been devastated by a war between forces loyal to the internationally-recognised government and those allied to the Houthi rebel movement. An estimated 22.2 million people — 80% of the population — are in need of humanitarian assistance or protection. This includes 11.3 million deemed to be in acute need; an increase of more than one million people since June 2017.The country is also suffering the largest cholera outbreak ever recorded in modern history, with over one million suspected cases reported in 2017 and over 2 200 related deaths. Despite the emerging humanitarian crisis in Yemen and the civilian death toll, there is no indication the U.S. is prepared to abandon the Saudi/UAE coalition — not as long as an Iran-backed regime potentially threatens the Straits of Bab-el-Mandeb, where 20,000 commercial ships pass through each year as they go back-and-forth between the Mediterranean and Arabian Sea. But beyond its strategic geographic location, Yemen’s other economic and natural resource assets are relatively small, with around $9 billion in exports each year, consisting primarily of crude oil, natural gas, coffee, and dried, salted fish. And most of those exports are sent to China, South Korea, Thailand, India and Japan. In fact, American involvement in the Yemen civil war is about stopping Iran’s growing influence in the Middle East, which grew considerably after the U.S. destabilized Iraq starting in 2004. Largely at the behest of Saudi Arabia and Israel, who have themselves entered into a strategic alliance that once would have been unthinkable, U.S. foreign and military policy is slowly redirecting away from conflicts in Syria, Iraq, and Afghanistan and towards the Islamic Republic of Iran. Whether the proxy war in Yemen is just a precursor to a direct confrontation with Iran is speculative. But the eagerness of the U.S. under Donald Trump’s leadership to enter into such a conflict is less speculative. What is also not speculative is the havoc created by the four largest military powers currently active in the region (Saudi Arabia, Israel, the U.S., and Iran). Despite the young, charismatic Saudi prince’s worldwide public relations tour over the past year touting his social reform agenda in Saudi Arabia (which mostly consists of women getting the right to drive), a country Human Rights Watch still considers to be one of the world’s worst human rights abusers, the prospects for freedom and democracy advancing in the Middle East have rarely been dimmer. And Iran is no budding Finland either. Oppression, particularly towards women, and the denial of basic civil rights remains an entrenched cultural norm in Iran and throughout the Middle East. As for Israel, the second-class status of its Arab Palestinian minority, now codified directly into Israeli’s Basic Law by the recent passing of the “Jewish nation-state” law, and its continued occupation of the West Bank and siege of Gaza, represents the moral and ethical standards unbefitting a country which calls itself the Middle East’s only democracy. And there is the U.S. who, in the post World War II era, has masterfully engineered a global security regime that rewards U.S. economic interests independent of the outcomes in specific military conflicts. Civilians caught in the middle of these conflicts usually pay dearly— often with their lives — but not U.S. defense contractors. They cover both sides of the military-peace equation. Saudi and UAE combat aircraft are refueled in air by McDonnell Douglas KC-10 Extender tanker aircraft. And when the United Nations and the International Committee of the Red Cross presses the Saudi coalition to recognize the humanitarian disaster emerging from the Yemen civil war, it is Boeing C-17 Globemaster transport aircraft airdropping humanitarian food and aid in the Northern Tuhaita province of Yemen using the Joint Precision Airdrop System (JPAS) technology supplied by Boeing subsidiary Argon ST.
America is the global security regime’s toll booth operator — we get you comin’ and we get you goin’. If it weren’t so immoral, America’s plucky audacity would be admirable.